Gentlemen, place your orders. 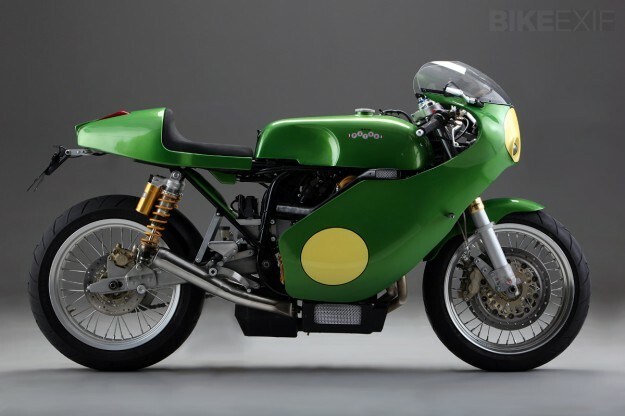 If you love the style of classic racebikes, but don’t like the thought of tricky maintenance, take a look at the new Paton S1 Strada. It’s a seductive mix of vintage style and modern technology, and best of all, it’s road legal. There will be four levels of specification, ranging between €16,000 ($22,000) for the ‘standard’ model and €23,000 ($32,000) for limited edition ‘Factory Signature’ models. Most trim levels include custom adjustable forks, Öhlins adjustable shocks and vintage-style instrumentation from Motogadget. Motorcycling history is littered with the remains of old marques revived and then abandoned, but the signs are very promising with Paton. Production starts in Milan in one month, and 25 bikes are sold already. The company has a long history of building bikes, so the production side should be viable. Giuseppe ‘Pep’ Pattoni founded the marque in 1958 with Mike Hailwood on board, and by the 70s, his 8-valve 500cc racers were a force to be reckoned with on European tracks. 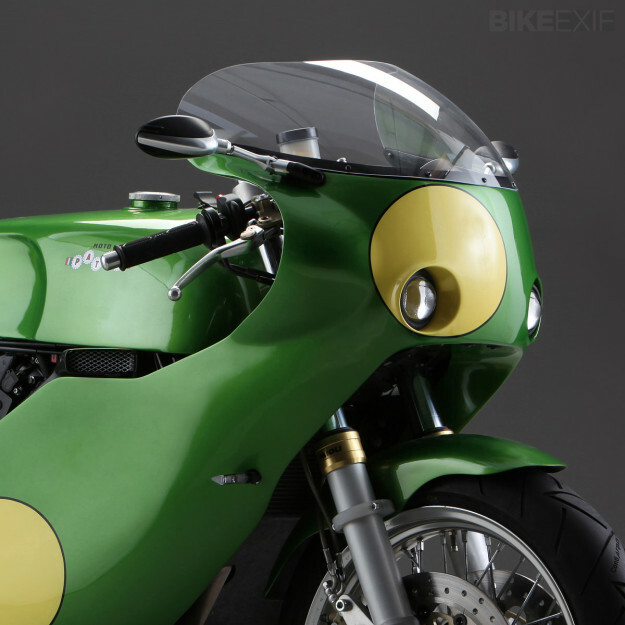 But racing became prohibitively expensive at the turn of the century, so Paton switched focus to building replicas of their 1968 and 1973 racebikes, selling them to privateers competing in ‘classic’ races. 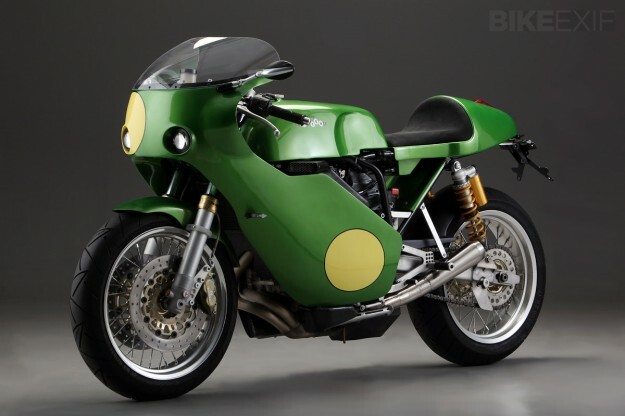 The new Paton S1 may have a resemblance to those replicas, but it’s a completely different beast under the elegant fairing. Power comes from a reliable injected parallel twin—the same 649 cc, liquid-cooled mill used in the Kawasaki ER-6n/Ninja 650. It’s an engine renowned for its broad torque delivery and accessible 72 bhp, and it’s hooked up to a six-speed cassette-style gearbox. Power rises a little thanks to an exhaust system designed by Termignoni. Performance is brisk. Thanks to a lightweight Claudio Colombo frame and high-spec components, curb weight is a svelte 158 kg with all fluids. 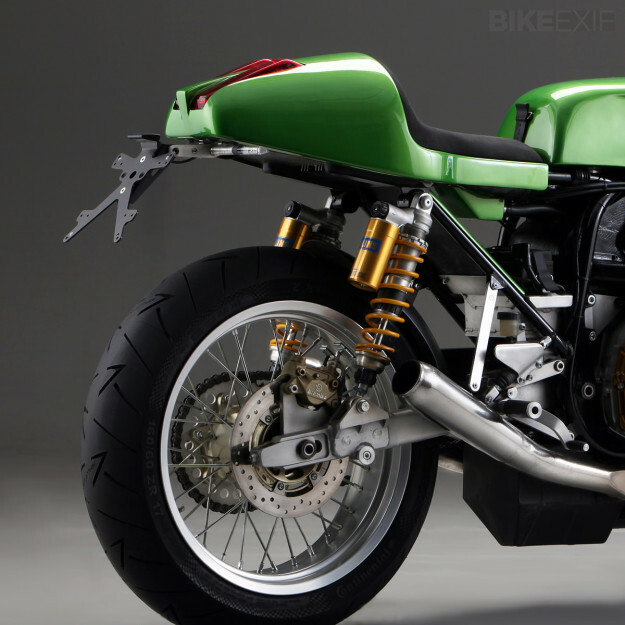 Top speed is 215 kph (133 mph), and the Paton sprints to 100 kph in less than four seconds—on a par with much larger bikes such as the BMW R1200RT. There’s even a chance we’ll see Paton return to full-scale racing. 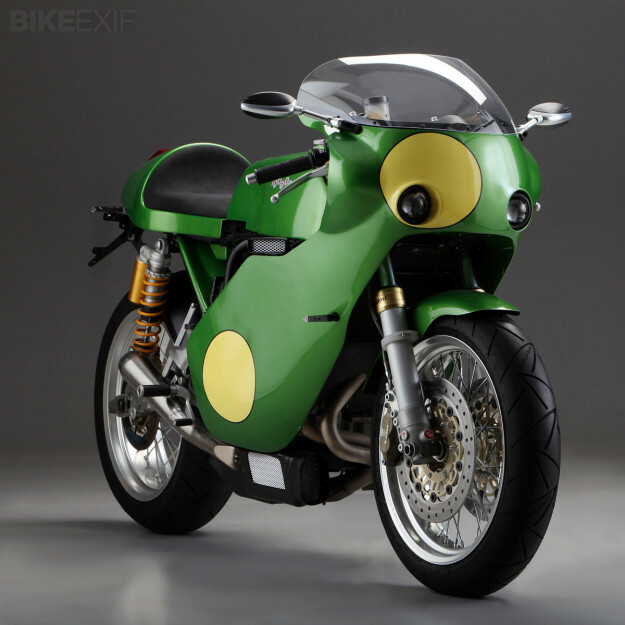 In May, they’ll be fielding a 100 bhp race version of the S1 at the Isle of Man TT, competing in the Lightweight class. 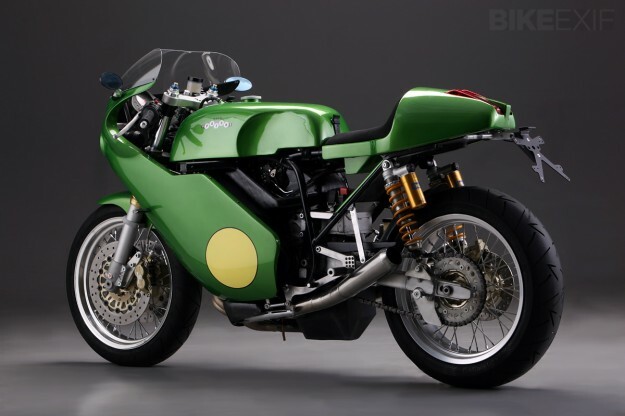 If you’d like to put one of these beautiful machines in your garage, brush up on your Italian and contact Paton via their website at www.paton.it. Thanks to Silodrome for the tip.